William Maclay was a politician from Pennsylvania during the eighteenth century. 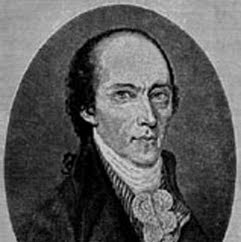 Maclay, along with Robert Morris, was a member of Pennsylvania's first two-member delegation to the United States Senate. Following his tenure in the Senate, he served in the Pennsylvania House of Representatives on two separate occasions, as a county judge, and as a presidential elector.